To break the monotony of a solid tablecloth, a striped option is ideal. 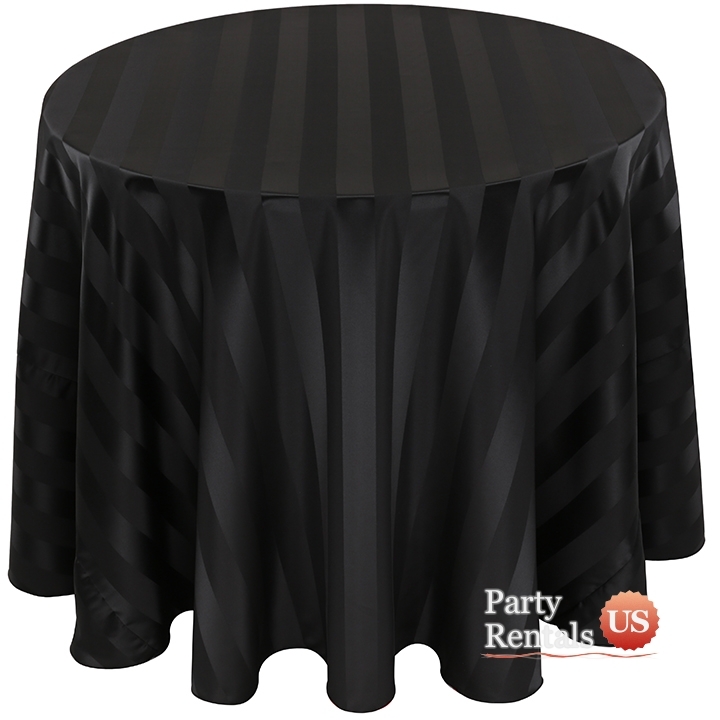 This satin tablecloth will bring shine to your venue and luxury to your guests. The feel of this material is always pleasing and will glide easily over top of your tables. The poly stripes offset the design and will illicit interest from you guests' eyes.